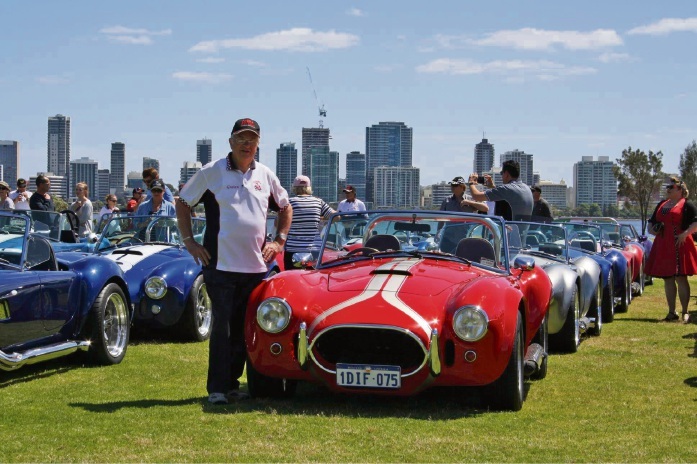 Cobra Car Club of WA Graham Ullock admires some of the cars on the South Perth foreshore. 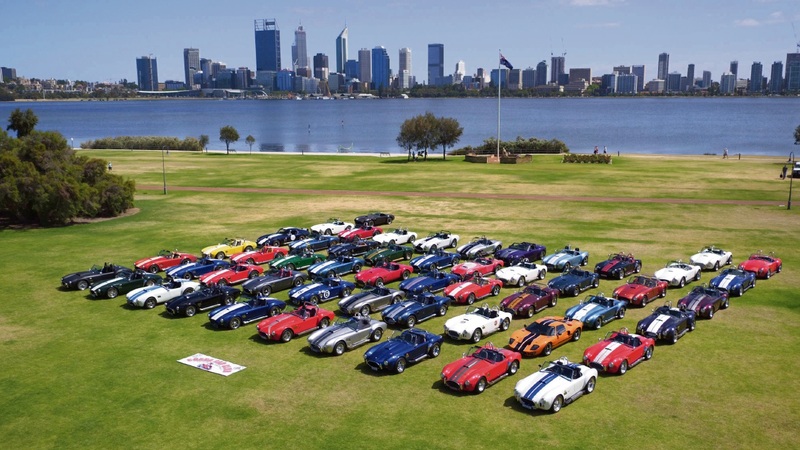 COBRA Car Club of WA members got together in South Perth this month to blow out the candles on its 20th anniversary. The members brought their cars to the South Perth foreshore near Coode Street Jetty for a “megaphoto” on December 4. Club vice-president Graham Ullock said with 53 Cobras, he believed it was the largest gathering of Shelby Cobras ever assembled in WA. “We currently have about 95 members, and about 50 licensed cars, and we have established a new WA Club record of 53 cars gathered here,” he said. “New members are very welcome, and our motto is ‘for owners, builders and dreamers’. The club meets at the Veteran Car Club of WA in Wattle Grove on the fourth Wednesday of every month, except December, at 6.30pm for a barbecue and then a meeting at 7.30pm.